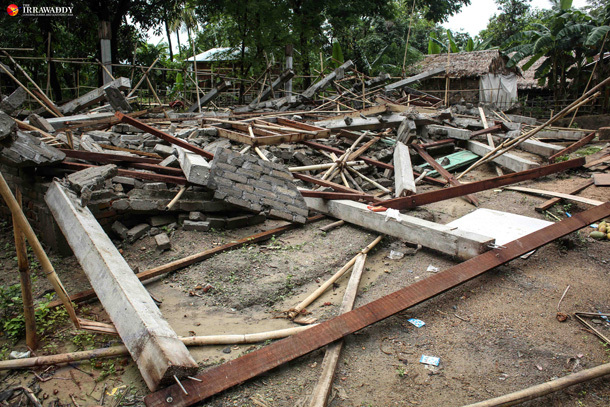 In a village in Pegu Division, an altercation between a Muslim and a Buddhist triggers a riot that destroys a Muslim’s house, a mosque and a warehouse. THUYE THAMAIN, Pegu Division — At first, Ohn Lwin, police chief of Thuye Thamain village in Pegu Division, said the situation was stable. But when he saw nearly 20 Muslims running inside his police station at 4 p.m. on Friday, he realized he had been wrong. 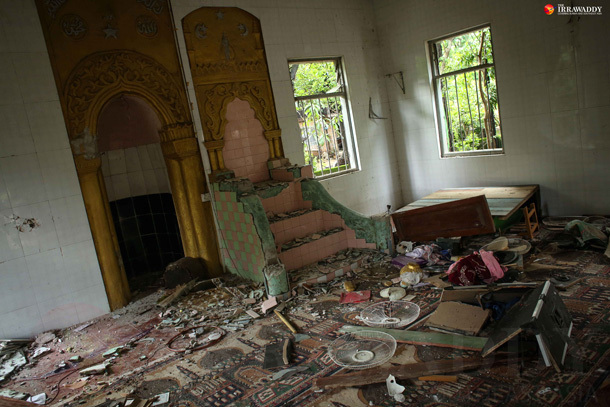 They had sought refuge in the police station the night before after Buddhist rioters destroyed a mosque and a house belonging to a Muslim family. But by Friday afternoon, they had rushed back to the police station, a sign that the Muslim villagers were still afraid of the rioters. “Rumors are circulating that a mob is coming again. So we don’t dare stay at home. 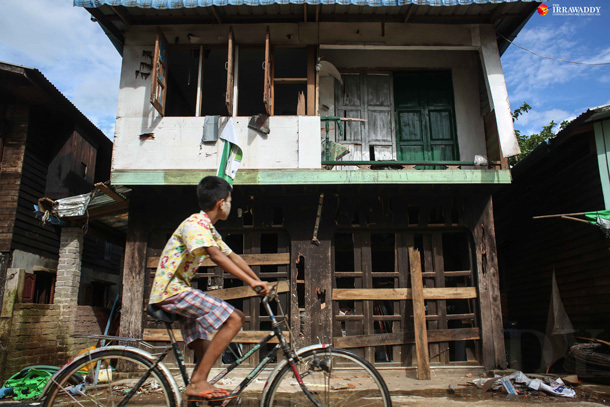 That’s why we are heading back to the police station,” a local man told The Irrawaddy. Some women were crying when they reached the police station, fear written on their faces. The police said there had been no violence on Friday, just rumors. Some Muslims who had run into the station admitted that they did not see anyone trying to attack them; they fled because they had heard rumors of attacks. 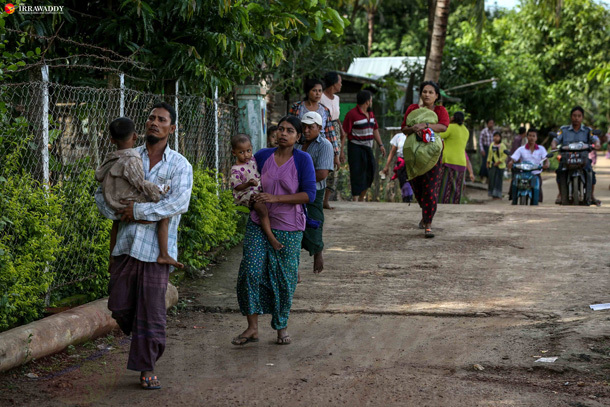 Situated in Waw Township of Pegu Divison, Thuye Thamain is a small village with a Buddhist majority comprised of 1,500 households while the Muslim population is around 250. 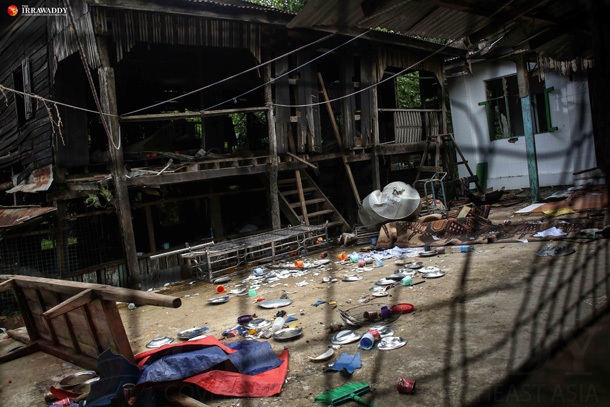 The tensions between the communities reached a flashpoint on Thursday when a fight broke out between a Buddhist and a Muslim. 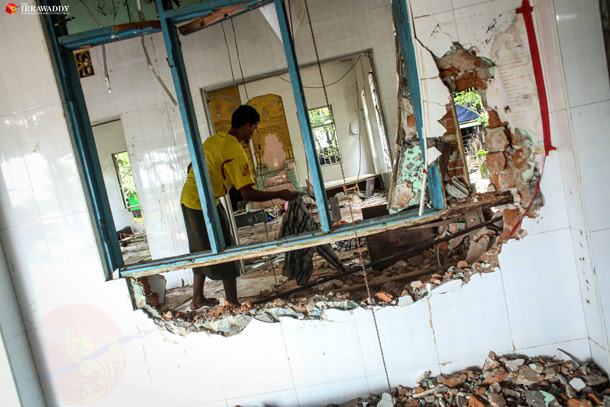 The altercation drew a mob, leading some local Buddhists to destroy the Muslim individual’s house, which also served as a storefront for construction equipment and hardware. 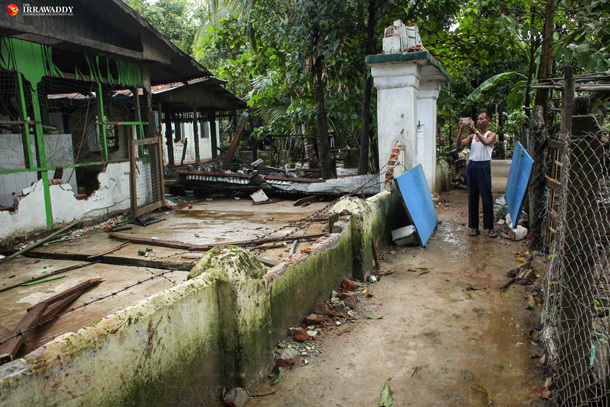 The violence then snowballed into a riot, with Buddhists targeting other Muslim households in the village, as well as a mosque and a warehouse. The police said no one was injured, and that they were conducting an investigation into the two families who had the initial dispute. The police chief Ohn Lwin said “No one has been detained yet,” adding that his police force has been able to maintain stability. 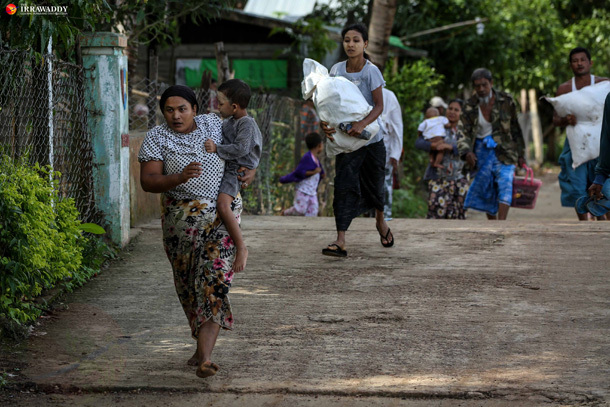 Win Shwe, the Muslim leader, was upset with the police inaction.